What is Outlook Web App (OWA)? 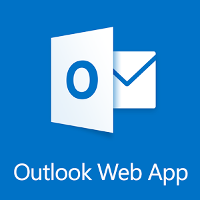 Microsoft Outlook Web App (OWA), first released as "Exchange Web Connect" and then renamed to "Outlook Web Access", is a webmail interface for Microsoft Exchange Server. OWA was created in 1995 by MS Program Manager Thom McCann from the Exchange Server team. The first customer version was provided as part of the Exchange Server 5.0 release two years later. Microsoft released the OWA customer version as a component of Exchange Server to allow users to use their email accounts via a web browser without installing Microsoft Outlook. OWA provides features for managing contacts, documents, calendars, tasks and other mail-related content. Outlook Web App has had two user interfaces available since its release back in 2000 - one with all features included ("Premium") and one with а limited functionality ("Light" a.k.a. "Lite"). Prior to the 2010 release, OWA required full functionality only from the Internet Explorer, but today it supports most of the commonly used browsers. Many of the OWA users are companies with lots of personnel who use OWA as a fast and easy way to access their email accounts from virtually everywhere and from any device. Front Page OWA Monitoring - monitor the OWA front/login page to see if it is working properly with ourPerformance and Full-page monitoring levels. Full OWA Functionality Test - with our Custom Transaction Monitoring, we are able to test the full OWAfunctionality. This includes the proper login processing, the ability to sendand receive emails, the functionality of the other major OWA features (search, Calendar, Contacts, Tasks, etc.). Here is an example of a monitoring solution we have developed for one of ourcustomers. We use our Custom Transaction Monitoring to test the client'sOWA capabilities of sending and receiving mails. The test process starts by sending a unique email to a customer's test emailaccount. Then, our monitoring system logins into the OWA and searches for thatemail. If the email is present, it is being deleted and then a new uniqueemail is being sent through the web interface to a mailbox outside thecustomer's network (in this case - a WebSitePulse mailbox). On the finalstep, our system checks if the second email has arrived. This custom monitoring solution verifies if the client's email system (inbound/outbound email flow) and OWA are working properly. Apart from the functionality test, we also measure the OWA interfaceperformance. This monitoring solution has been developed with a 9-step custom scripttransaction. The deployment time for such monitoring is usually 24 hours andthere are no setup fees. WebSitePulse is a leading provider of advanced, independent and remote monitoring services that enable clients to increase the efficiency of their mission-critical e-business operations, and to reduce their risk of failed Internet transactions and loss of revenue.